It is just two days until we take over LV21 to present a site-specific, immersive version of The Great Thames Disaster. LV21 is a retired Light Vessel ship which has been transformed into an arts venue. It is the perfect location to reimagine The Great Thames Disaster. You can find out all about the history of LV21 on their website. Myself and the team have had our work cut out transforming and adapting the choreography to fit this unusual site. Back in July we spent a VERY hot weekend working on board LV21 to rework the movement. 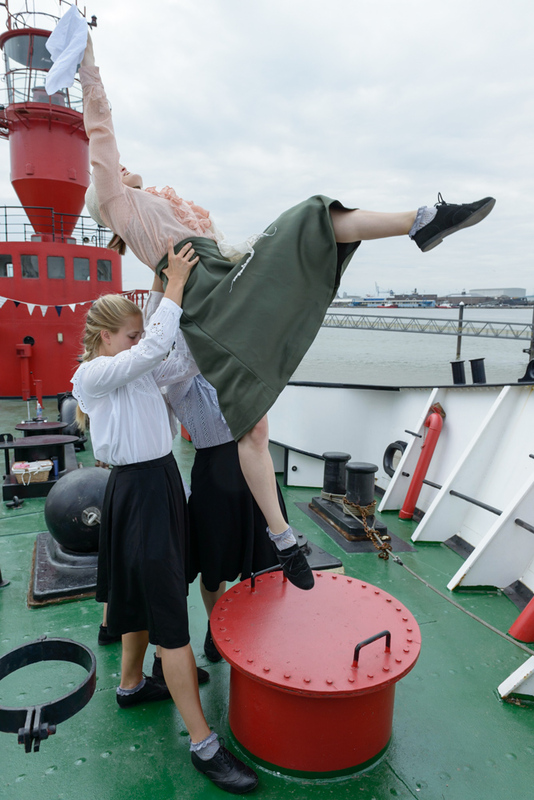 We set ourselves the challenge of using as much of the ship as possible, the result is an immersive promenade performance where the audience move around the boat as the story unfolds. 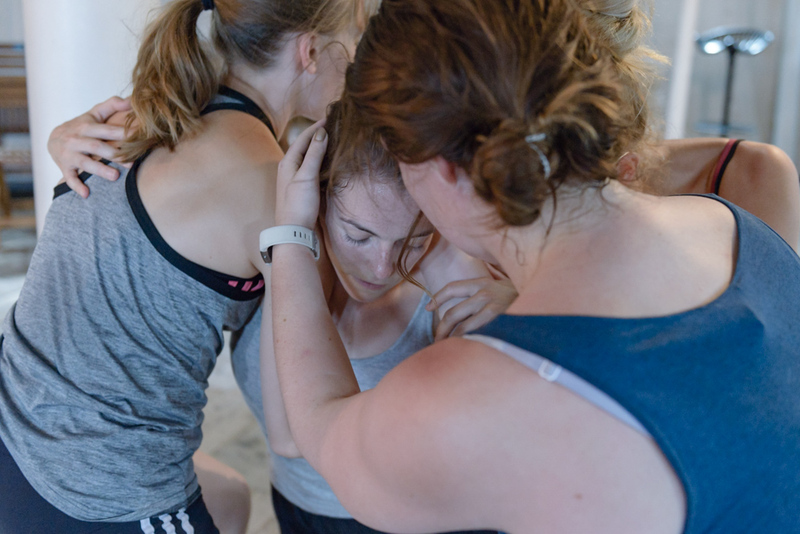 Adapting choreography to a site is very different to making work on a site. You have to make a choice about which elements of the movement need to remain as close to the original as possible, and which sections are more flexible. 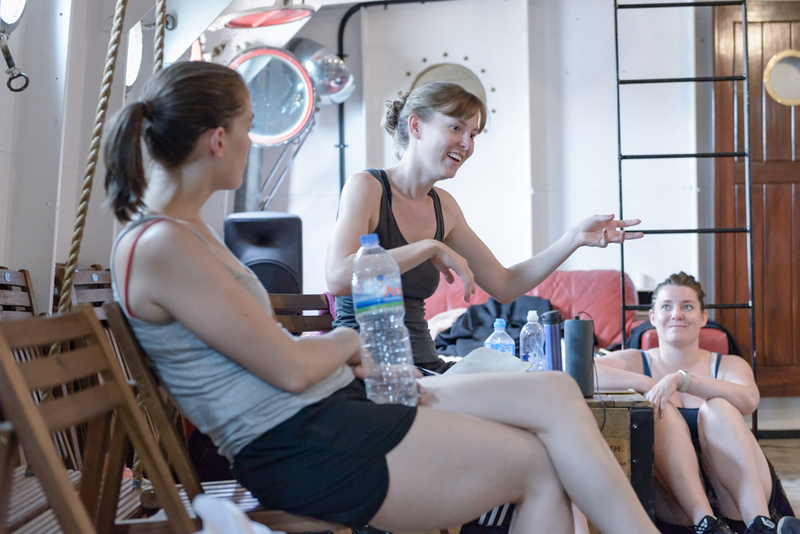 There is a danger of forcing choreography to exist in a place where it simply isn’t working (‘square peg in a round hole’) and there were a few occasions where we had to completely re-work particular sections of the choreography so that they responded to the site. It was exciting to see the work take on a new life in this unique location! We worked with local young people from Northfleet and Gravesend who joined us in the studio to create their own interpretations of The Great Thames Disaster. One of these young people will be joining us on LV21 and opening the show with a beautiful solo she has worked really hard on. If you haven’t got your tickets yet then hurry! Capacity is limited and tickets are selling fast! You can book your ticket to be part of this unique performance experience via The Woodville Box Office. Audiences are in for a treat! You will discover this amazing venue and see dance in a way that you may never have seen it before! ← The Great Thames Disaster- 2018 tour kicks off!